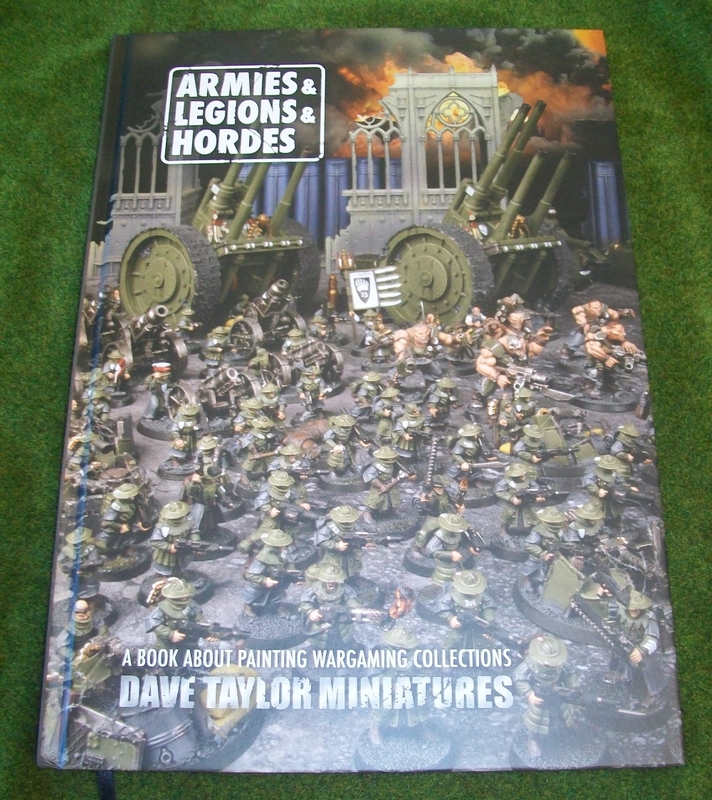 If you are a science-fiction and fantasy wargamer, and you like big armies, then do yourself a favour, order a copy of Armies & Legions & Hordes. You can order it right now from Warlord Games. Honestly, it has been a long time since a wargaming book, of any type, made me smile so much, and filled me with so much enthusiasm for the hobby. 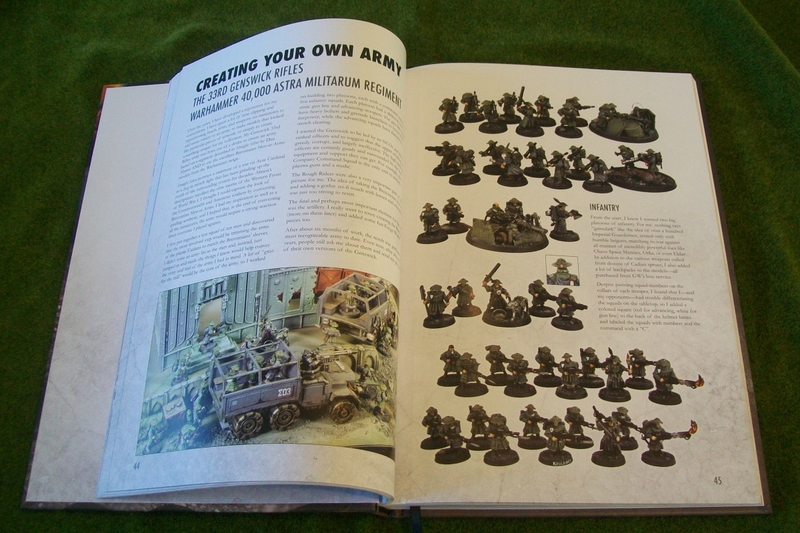 Ostensibly, the book is a guide to working on wargaming armies. It’s not about points values, constructions methods, or painting techniques, although it touches on all of those. 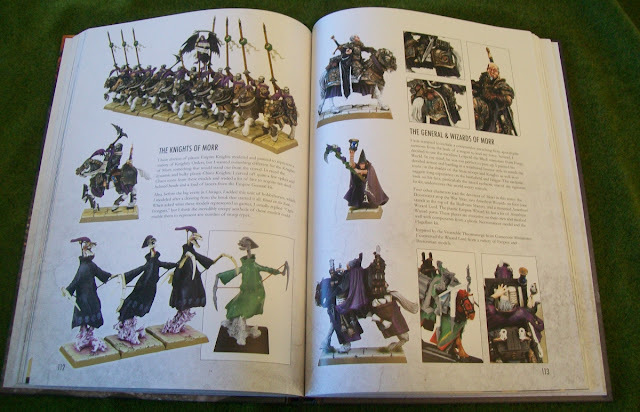 Instead it is a book about the thought process, the motivation, and the time commitment that goes into painting a hundred figures or more. While Dave Taylor and a couple of guest authors share their insights on this, the end result is less about gaining wisdom so much as being energized to get stuck in! 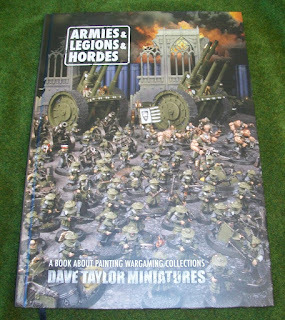 Apart from the text, which gives plenty of reading, the book is crammed with fantastic photographs of Dave Taylor’s numerous and varied armies. 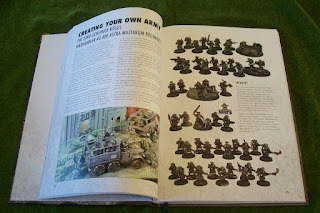 Most of these are from Warhammer 40,000 and Warhammer Fantasy (and readers may feel a pang of loss for the Old World when seeing his Artillery Train of Nuln and Army of Morr), but also includes several historical armies and a few smaller forces from other sci-fi/fantasy games. The book itself is just gorgeous. A4, hardback, super-slick glossy paper, 170+ pages, with a ribbon. The interior layout is very clean, making it easy to read the text and drool over the photographs. I could go on, but really, you need to see it for yourself. This is one of the occasions that I am so happy for the existence of Kickstarter. It allowed a man who has given much to the hobby to produce a beautiful book that likely would have never been published by a traditional publisher. Thankfully, if you missed the kickstarter, you can now order a copy. I’m sure a few people are wondering if I know Dave Taylor. The answer is yes, but not well. I honestly can’t remember where we first met, possibly a few years ago at Adepticon, although maybe before that. We’ve long moved in similar circles. We first really spoke last year, when I had the chance to sit and paint with him for an episode of GMT’s Painting Li’lHappy Minis show. I hope that someday we will have another chance to have a chat as his love of the hobby is truly infectious. Yep. All of that. I'm soooooo glad a ordered one. It's fab. And as a backer, I'm listed ! Fame and fortune are mine, bwah ha ha har !